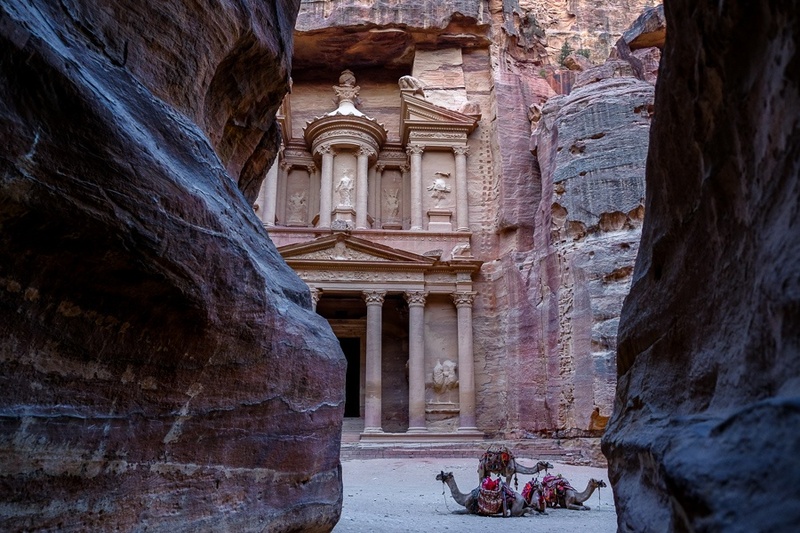 Jordan is emerging as one of the most popular countries to visit in the Middle East. The highlight of any trip to Jordan is Petra, the hidden city in the rock. This is an incredible ancient town carved into the rocks in southern Jordan, and it can be explored by foot or on the back of a camel. Another popular attraction in Jordan is the desert valley of Wadi Rum, where you can take a jeep tour around the orange sand dunes and huge granite mountains. The climate of Jordan is generally arid, with hot summers and cool, short winters. The coolest months are from November to March, and this is probably the most popular time for tourists to visit, but honestly any month of the year is fine for visiting sights in the south like Petra or Wadi Rum. I went to Petra in October, and the heat was not an issue at all, especially in the mornings. Jordan is not nearly as hot as nearby Middle Eastern countries like Qatar and the United Arab Emirates. Jordan is a relatively safe place to travel, with a very low violent crime rate from the UN of 1.6 per 100k inhabitants (75% lower than the global average). Attitudes toward foreigners are welcoming. I’d still recommend you try to avoid crowds and practice situational awareness; terrorist attacks have occurred near some tourist areas in Jordan, but it’s not common. The other thing to note is that Jordanian culture is conservative, so clothing in public should be modest. Jordan can be a budget friendly travel destination, but it’s a bit more expensive than Egypt. Hostels are available from $7 and private hotels from $28. Meals cost about $8 to $15 depending on location. Transportation in Jordan is generally by car, and these can be rented, but hiring a driver is sometimes preferable. Transportation apps like Uber and Careem are available, but use these discreetly because they’re not appreciated by the taxi industry.